As a certified waste management facility, we can dispose of your scrap steel, sheet scraps, copper, brass or aluminium, among other materials. 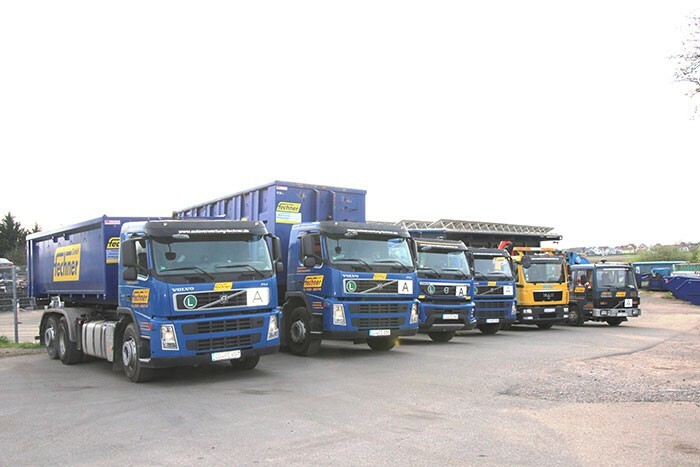 We also transport other waste and dispose of it in a proper and environmentally friendly manner. In addition to our large fleet of container vehicles, we offer containers with various storage capacities. Whether for private, industrial or technical use, we have containers from 5 to 40 m³. For larger projects, we can provide you with roll-off containers. With the environmentally friendly facilities at our warehouse and trans-shipment centre, we are equipped for all your waste disposal needs. In addition to long-term orders, you can also obtain containers for short-term use, e.g. for clearing and demolition work.